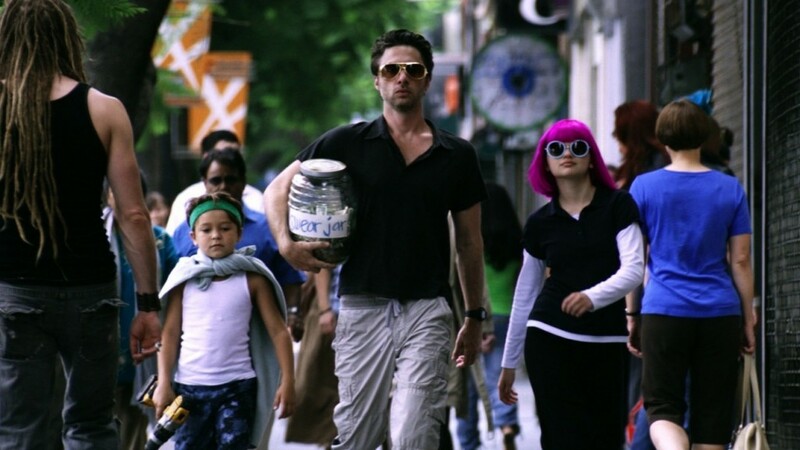 The first trailer for ‘Wish I Was Here‘ is officially out and ready for your viewing. This is Zach Braff’s (‘Scrubs‘) second film that he directed since ‘Garden State‘ in 2004. So yes, it’s been ten years since then and we are all in our 30s now. It’s difficult to pin point what exactly the story is here with this trailer, but rest assured, this film is going to be fantastic. It looks like Braff took the best parts of a Wes Anderson movie and the best parts of a Stanley Kubrick movie and mixed them together in his own magical talent to give us the tale of family, love, and loss. At least that is what it looks like. There is a lot going on in this trailer with different genres and characters, but one thing is for sure, I bet I’m gonna need a box of tissue for my eyes after watching this. I’m so psyched to see Donald Faison and Braff work again together and it looks like the rest of the cast including Mandy Patinkin, Josh Gad, Jim Parsons, Joey King, Ashley Greene, and Kate Hudson all turn in the performance of a lifetime here. I cannot wait to see this movie. Enjoy the trailer below. Blu-ray Review: Going in Style! This entry was posted on Wednesday, April 9th, 2014 at 4:32 pm	and is filed under Film, News. You can follow any responses to this entry through the RSS 2.0 feed. You can skip to the end and leave a response. Pinging is currently not allowed. « The Ultimate Warrior 1959-2014! !